Every year I travel out of town for vacation. It is the one time of the year that I really look forward to. I always try to travel to a place that I’ve never been before. I truly believe vacations are what keeps me sane. After doing a bit of research, I planned a trip to Missouri. I haven’t been there since I was a small child so all of my adventures will be new to me. I’ve planned out my trip with some of the coolest adventures I could plan for my boyfriend and I to go to Missouri for about 4 days. Who doesn’t love wine? There are over 100 wineries that you can visit. I would visit the Cave Vineyard Winery because of the scenic views and Saltpeter Cave that is under the tasting room. Drink wine and visit a cave all in the same place, I’m in! Missouri is the home of the oldest continuously owned and operated winery in the United States. Adam Puchta Winery has been around since 1855 and is owned by the 7th generation Puchta family. 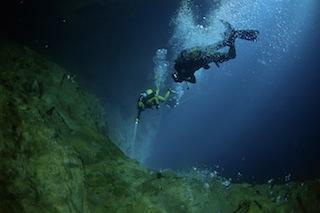 Earn bragging rights by scuba diving in the world’s largest fresh water dive resort at Bonne Terre Mine. The Billion Gallon Lake is always 58 degrees and not affected by outside temperature. Missouri has 51 State Parks to venture through. Prairie State Park is the state’s largest example of a native prairie. Be on the look out because bison roam freely. Another park that I would make a trip to is Big Lake State Park for the 625 acre Oxbow Lake and amazing bird watching. Let’s be real, traveling can be expensive so I would take full advantage of some of the awesome freebies. Explore the St. Louis Zoo‘s 90 acre park that houses more than 18,000 exotic animals. Sharpen your history facts by stopping my Grant’s Farm, which is named after our 18th President. Over 24 million guests have stopped by Grant’s Farm since they’ve opened, which is a sure sign that it’s a MUST see. A trip to Missouri wouldn’t be complete without traveling on one of the country’s most famous highways. On Route 66, stop by and see the World’s Largest Rocking chair and the Cuba Missouri’s Historical Murals that depict scenes from local and national history. 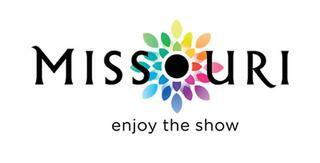 It would take months to see everything that Missouri has to offer so I would definitely have to visit more than once. I planned my whole trip through the Visit MO Social Networks and website. To get connected, like VisitMO on Facebook and follow VisitMO on Twitter to learn more about how to take your vacation to the next level. It's been a long time since I've been there, but the drive is lovely I remember! I was born in St. Louis and lived there till I was twelve, so let me know if you need any ideas. I suggest getting Italian food in the St. Louis neighborhood called "The Hill". You also need to try some St. Louis Style Pizza. I suggest Imo's. It's a local chain and a St. Louis favorite. I didn't realize you were from St. Louis! I went to Missouri as a kid once with my Grandmother, an aunt and two cousins. Fun indeed! And it is close enough for us Texans to get away without traveling for days on end to get there. Wow! I never knew there was so much to do in Missouri! I've never been before, but would love to visit! We were supposed to go to Branson last year for family vacation and didn't make it. This makes me want to try to make it out again sometime. We endeded up in Oklahoma this year.